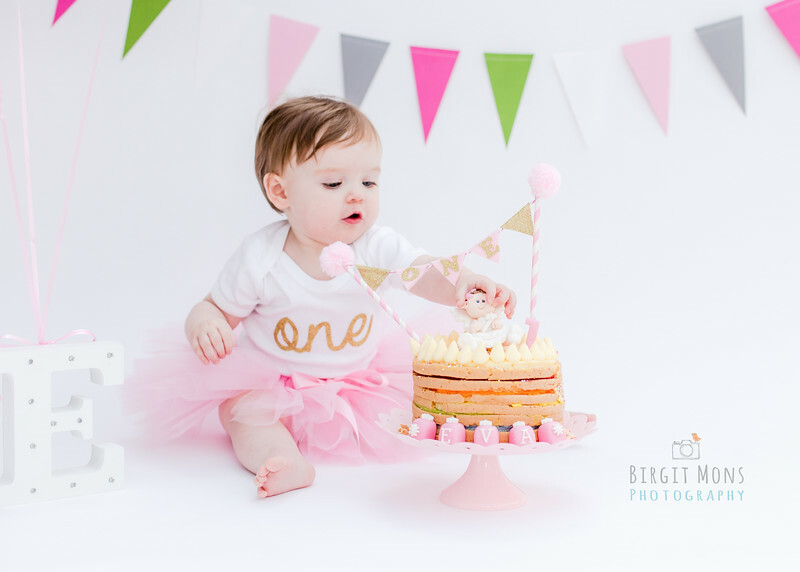 A cake smash is a great way to celebrate a 1st or 2nd birthday! These sessions are lots of fun but can get VERY messy so make sure that you bring a spare set of clothes. I will start with taking a few photos of your child before the cake comes out. Cake smash sessions are unpredictable and it’s always interesting to see the way children react differently. Most parents are surprised at how little cake is actually eaten, so don't worry about a sugar rush. Usually, you get to take away the remaining cake home to enjoy. 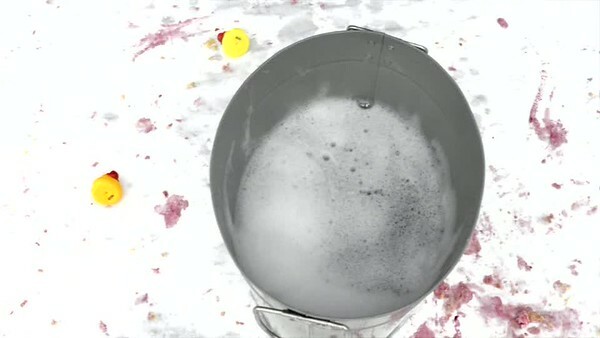 After the cake has been smashed, your child can enjoy a splash session in a little tin bath. It’s just as much fun as the cake smashing and best of all, you get to take a nice clean child home with you. I’ve got a choice of different backgrounds and props, but please note that I don't provide any clothes for your little one. I teamed up with the lovely Becky from BecksBakes, who is a local cake maker and who creates gorgeous and delicious cakes. 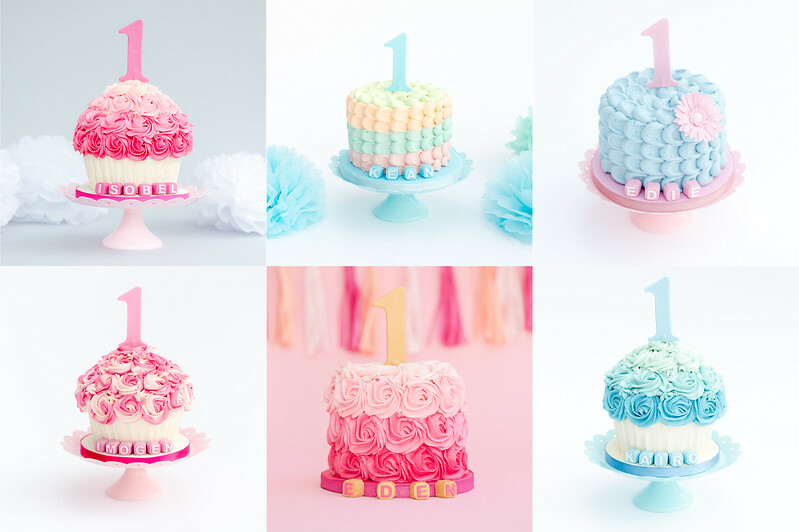 She can also make your child's cake to their specific dietary requirements. After your session is over, I spend quite a bit of time going through the images and selecting the best ones. I will perform subtle editing to create the look I feel is right for the image. Around 1 week from our session, you will receive an email with a link to your password-protected online gallery. Your gallery will be online for two weeks for you to download and pay for the photos and to share with friends and family. If it’s easier for you, I’m happy to put all files on an USB stick. Here is a short video I edited myself (thanks Dani for filming) to give you an idea how I usually run a cake smash & splash photo session. I'm not a videographer, so excuse the amateurish video ;-).